When I mentioned Eureka College Theatre and their Olio Township Cemetery walk in yesterday's September preview, I noticed they've also announced the rest of their 2011-12 season. This season, EC's schedule is provocative and intriguing, mixing everything from historical reenactment to improv, with classic theater, fresh new dramatic voices and a children's musical. That includes a one-man show, which I don't recall ever seeing on Eureka's stage. First up is the cemetery walk, offered September 18 in conjunction with the Woodford County Historical Society. Eureka students will portray historical personages from Eureka and Woodford County's past, telling their stories and why they were important in local history. Next up is George Bernard Shaw's "Arms and the Man," scheduled for October 4 to 9 in Pritchard Theatre in the middle of the Eureka College campus. Definitely a classic worth reviving, "Arms and the Man" is a witty, wordy comedy about war, romance and heroism. EC Theatre Professor Marty Lynch directs. Guest director Rhys Lovell brings "Dead Man's Cell Phone," a 2007 play by wiz-kid (and MacArthur Genius Grant recipient) Sarah Ruhl, to Pritchard November 15-20. The play has one of the best opening hooks in theater history, as a woman sits in a café, annoyed by the cell phone that keeps ringing at a neighboring table. Why doesn't the guy answer his phone? Because he's dead. So what is our heroine to do? Pick it up, answer it, and then try to unravel the dead man's life based on who and what is linked on his phone. Lovell is well-known as an actor, playwright, teacher and director in Bloomington-Normal, with credits at Heartland Theatre, ISU and IWU. December 6 and 7 will see a program of 10-minute plays directed by students, meaning EC is branching out from acting instruction into directing, as well, and that will be followed (February 23-25) by a one-man show, the play "Thom Pain (based on nothing)," by Will Eno, which was a finalist for the 2005 Pulitzer Prize. It's a rambling, funny, sad monologue which New York Times' critic Charles Isherwood called "a small masterpiece." Isherwood wrote, "'Thom Pain' is at bottom a surreal meditation on the empty promises life makes, the way experience never lives up to the weird and awesome fact of being. But it is also, in its odd, bewitching beauty, an affirmation of life's worth." The popular Red Devils' Improv Troupe returns on March 31, and rounding out the season (April 17-21) will be "Alexander and the Terrible, Horrible, No Good, Very Bad Day," based on the children's book by Judith Viorst. Viorst teamed with the Kennedy Center in Washington DC to turn her book into a stage musical, writing the book and lyrics herself, with music from Shelly Markham. EC Theatre Professor Holly Rocke will direct "Alexander," which is, as its title suggests, the story of a kid having a really awful day where everything seems to go wrong. "Alexander the Terrible, Horrible, No Good, Very Bad Day" comes to Pritchard Theatre April 17 to 21. They're also promising another stage combat workshop in May, with details to be filled in later. 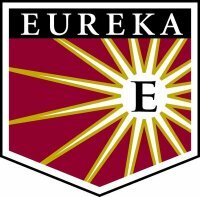 Click here for more information on the entire theater schedule from Eureka College.